If there’s something strange in your neighborhood, it might be Dan Aykroyd. When not talking about how real-life men in black were tailing him to prevent him from exposing the existence of UFOs, Aykroyd took some time over the past weekend to launch an unprompted critique of Ghostbusters reboot director Paul Feig. Aykroyd claimed that reshoots on the film cost between $30 and $40 million, thereby rending the movie not profitable enough to earn a sequel. (He also claimed this was the result of Feig not listening to his ideas, which makes sense, given the man helming a $140 million studio blockbuster might be wary of taking notes from someone who is convinced aliens exist but are avoiding earth because of 9/11.) Those are some very expensive reshoots, indeed. 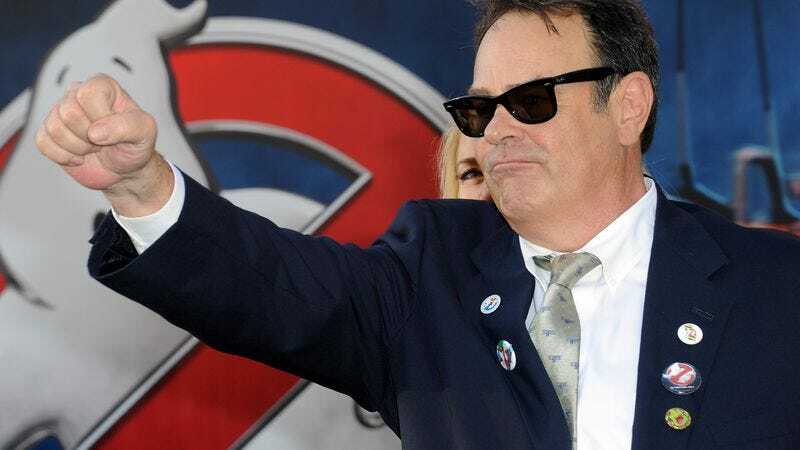 Today, Sony Pictures released a statement saying the beloved comic actor may have been slightly off in his financial assessments, in that the actual cost of the reshoots were 90 percent less than Aykroyd claims. Deadline reports the additional scenes cost between $3 and $4 million, not $30-$40 million. An easy enough mistake, certainly, especially if you’re not great at math, as is assuredly the case for someone who thinks making a Ghostbusters 3 without Bill Murray is a financially sound move. After Sony’s statement, Aykroyd took to Facebook to explain himself: “Paul Feig made a good movie and had a superb cast and plenty of money to do it. We just wish he had been more inclusive to the originators.” Indeed, perhaps that originator inclusiveness should lead to Aykroyd’s dream of a Dan Aykroyd-centric Ghostbusters now being made, possibly with his original screenplay involving ghostbusters traveling through time and space and fighting multiple giant ghosts in various dimensions. Sounds very affordable.